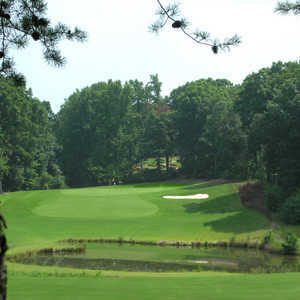 The 18-hole Mallard Head Country Club in Mooresville, North Carolina is a semi-private golf course that opened in 1979. 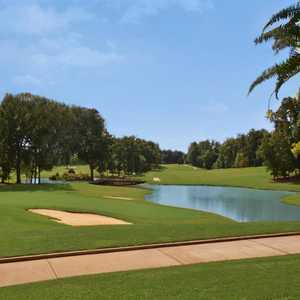 Designed by George Cobb, Mallard Head Country Club measures 6904 yards from the longest tees and has a slope rating of 126 and a 73. 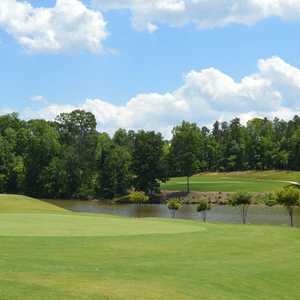 The 18-hole Trump National Golf Club Charlotte (previously known as Point Lake & Golf Club) in Mooresville, North Carolina is a private golf course that opened in 1999. Designed by Greg Norman, Trump National Golf Club Charlotte measures 7425 yards from the longest tees and has a slope rating of 147 and a 76.